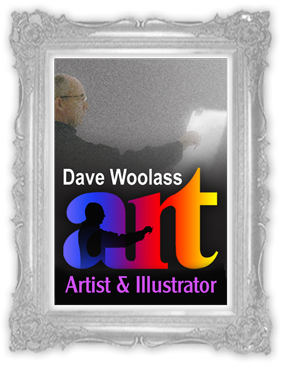 Dave Woolass is one of the UK’s leading Artists with a strong art background spanning more than forty years. He is one of five siblings born and raised in the Port of Goole, which is in the East Riding of Yorkshire. He actually began his working life as a trainee manager within the retail industry but painting and drawing were always his first love, and it was inevitable that this talented man should turn to making a living from his art work. 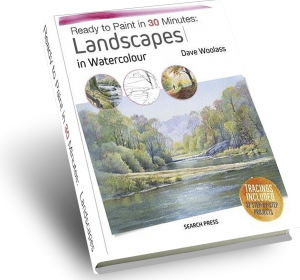 For many years Dave has delivered private art classes to small groups of eager students who benefit from his highly structured and responsive approach. He has also delivered numerous workshops and seminars nationwide for various Art Societies and Galleries and has frequently been commissioned by companies to demonstrate art materials at art events as well as on live television. Dave has undertaken numerous commissions ranging from private portrait sittings to magazine covers and has even painted guardian angels for each member of a group of clairvoyants! His work features in many art collections across the globe including: UK, USA, Canada, New Zealand, Australia, Japan and the Middle East. 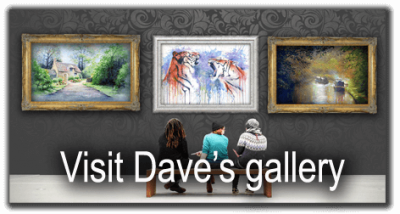 Dave has also appeared on the popular TV show, ‘A Brush with Fame’, where he painted portraits of the well-known chef, Antony Warrel-Thompson and the wine expert, Jilly Goulden. Portraits, Landscapes, Seascapes, Floral, and Still Life, using Oil, Pastel, Graphite, Water Colours, Acrylic and Silver point. The Fine Art Trade Guild of Great Britain elected Dave to the Court of the Guild in 2001. He was elected as The Masters Warden in 2003 and was ultimately elected ‘Master of the Fine Art Trade Guild’ in 2004. Dave is currently a GCF Examiner for The Fine Art Trade Guild.